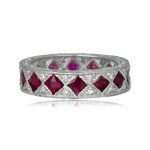 A beautiful vintage style wedding band, adorned with diamonds and French-cut rubies and mounted in a stunning platinum setting. 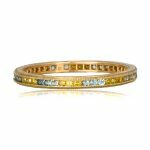 Fine milgrain adds to the delicacy of this beautiful wedding band. 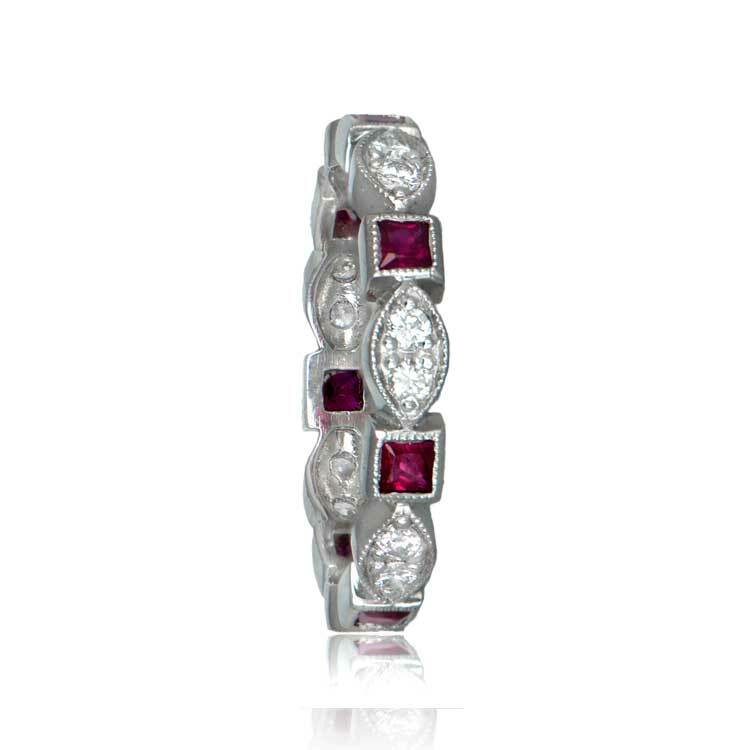 The ring is a size 6, but we can custom order this band in your size. 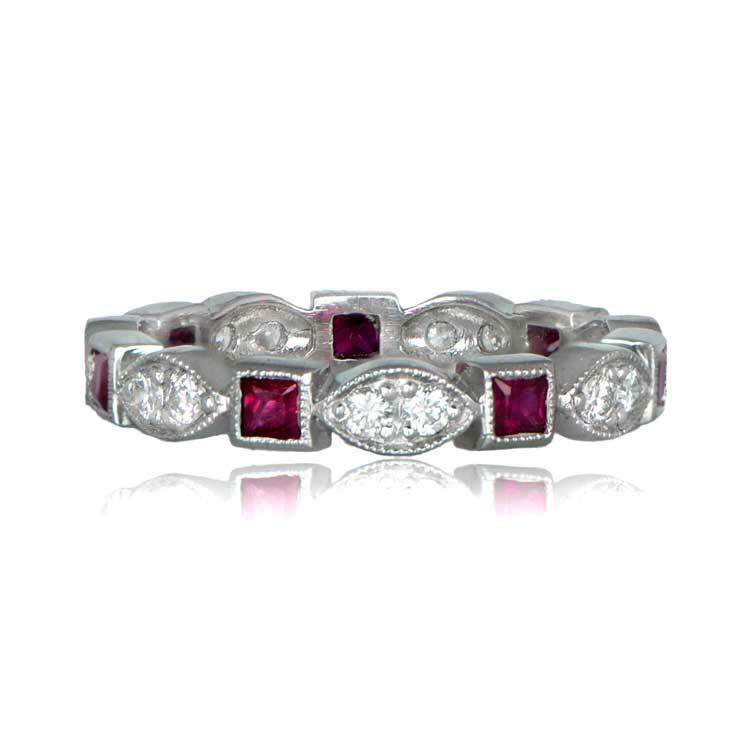 SKU: 9213 Category: Vintage Wedding Bands - Contact us and request additional pictures.